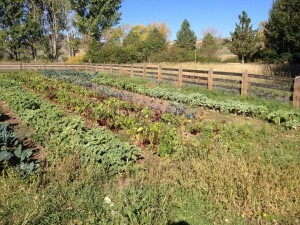 This past weekend we went to the Chatfield CSA to get a few vegies and to check the place out. They have a total of 5 acres of crops. 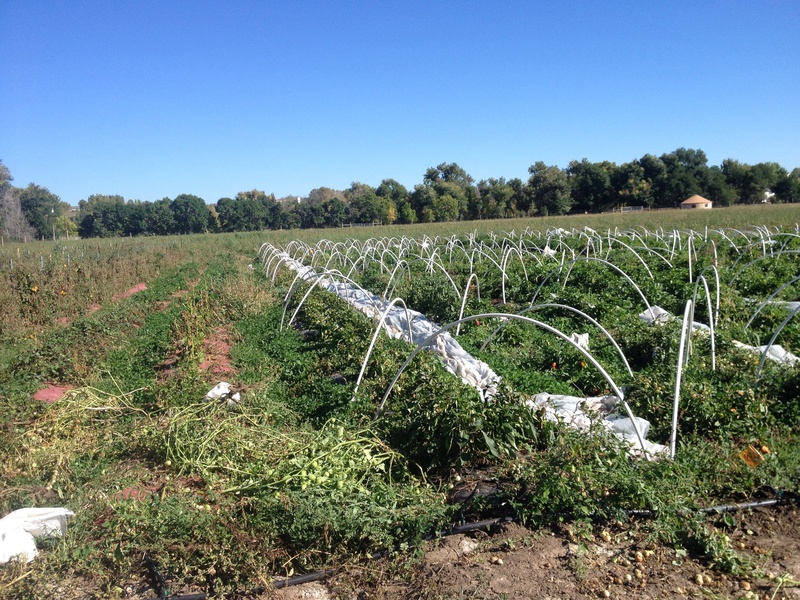 This first photo is part of a one acre section of the CSA. Seeing an acre fenced in really made an acre seem large. 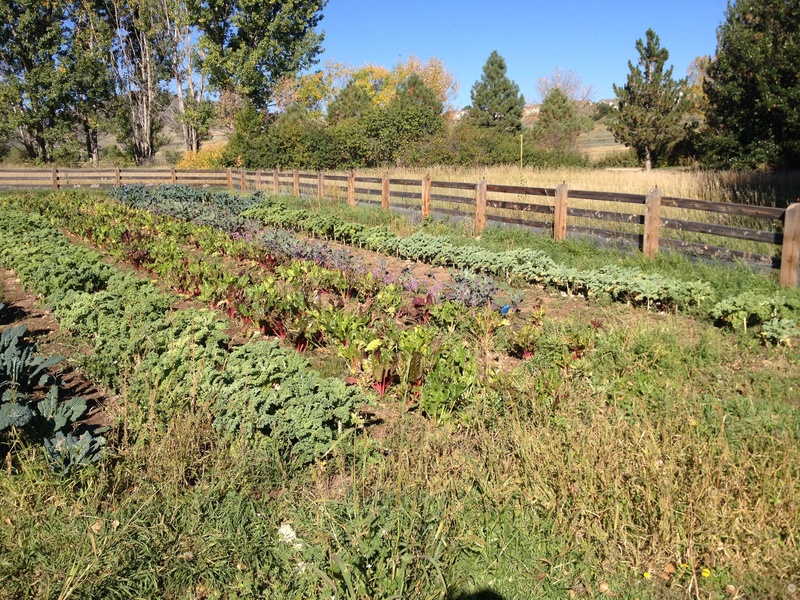 You could run a small csa with an acre like this. I believe this CSA supports 400 members with the 5 acres. For the RegenFarm site I could see the farm having an acre of annuals on irrigation along with the fruit from the trees. For many years the area between the two 2013 swales would work as a great place for annuals. Adding perennials like berries and asparagus should make the inputs lower for some of the produce. Here is a photo I took to remember how they use steel rods in the ground with pvc pipe and cloth to cover the crops. 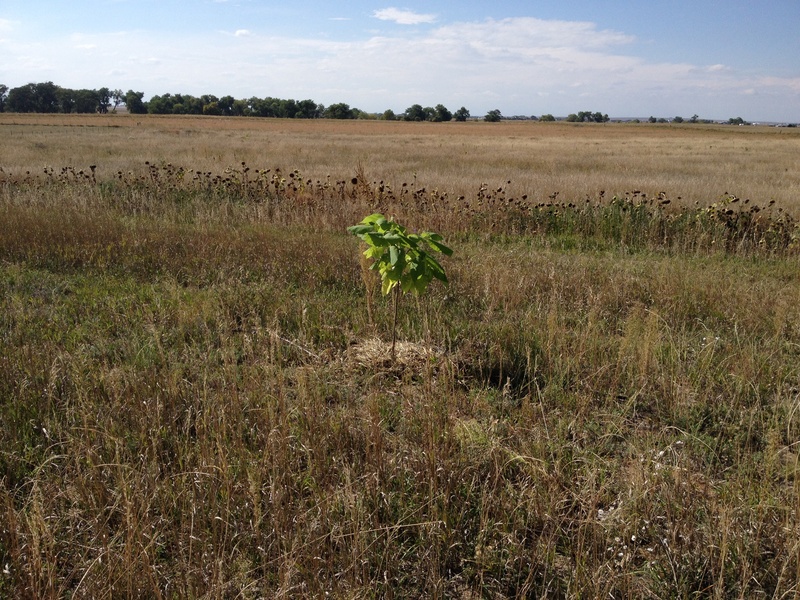 This time I planted some of the catalpa trees in places where other trees had died on the upper 2013 food forest and above the 2014 food forest swale where many of the mulberry trees never survived. As I plan for cows and animals in general I’d like some trees all across the farm for shade and shelter. 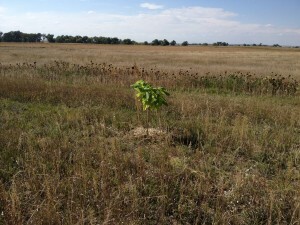 Remembering that I learned that adding 10% trees to any field/pasture will not reduce production.